Centrally located in GJ area! Polls Show: More than 75% of students from evangelical church homes leave the church before graduation. Secular schools teach only Evolutionary Naturalism – the idea that everything can be explained by natural processes. In other words, no God is needed to create the universe or life. Students are told that evolution is science but Creation is just a religious myth, undermining their faith in the Bible and the God of the Bible. THE TRUTH: Evolution is NOT Science! It is a belief system posing as science – the pillar of the Naturalistic Worldview. Students need facts and supportive relationships to help them survive the one-sided evolutionary indoctrination they receive in schools and universities. AOI wants to be a “lighthouse” beacon of light to these students and at the same time have that beacon illuminate the Truth of God’s Word to students immersed in the darkness prevalent on the campus. AOI was founded in 1984 by Dave and Mary Jo Nutting. As college instructors, they saw young people being blasted out of the water in their faith because of evolution and felt God’s leading to do something about it. In the 33+ years of ministry since then, AOI has become a well-respected ministry, recognized by churches, Christian organizations, and other Creation ministries. 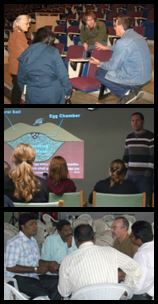 AOI speakers currently teach at more than 200 events yearly, at churches, schools, universities, and children’s events, as well as leading exciting Discover Creation camps and tours. AOI has purchased a building just 1 block from Colorado Mesa University and 2-6 blocks from 3 other schools, including Grand Junction High School. Surrounded by students, its central location will serve well as headquarters for AOI’s local, national, and international ministry. Continue our vital world-wide creation ministry to families and students here and abroad. Train and equip students with the knowledge and tools to not only survive, but thrive in a hostile environment and encourage them to make a positive impact while in school and wherever God leads them after graduation. This building is ideal to support this vision! Bonus: Immediate income from renting all available units starting October 15th. This is an Exciting Strategic Ministry Opportunity! AND it Offers a Financially Sustainable Business Plan! 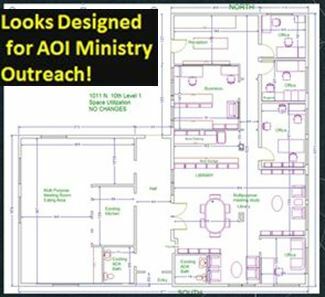 When our campaign is complete, AOI will not only have its own building, but will be approximately $30,000 to $45,000 better off per year than in our current rented facility. (The range depends on rental occupancy.) This increased income can be invested back into further ministry. AOI is EQUIPPED and POISED to impact students at CMU and elsewhere, but we need your help for this strategic endeavor. Will YOU be part of something big? Please pray and give a generous and meaningful gift to make the Strategic Ministry Center debt free. 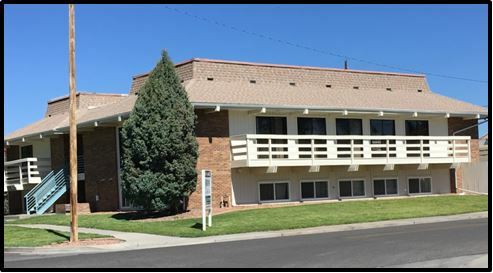 Centrally located in Grand Junction, just 1 block south of Colorado Mesa University, 2-3 Blocks from 2 other schools. Surrounded by students! Large multipurpose room with full kitchen – ready for ministry events – just add chairs, students, and food! Additional multipurpose area for library, study, meetings, kids’ programs, etc. 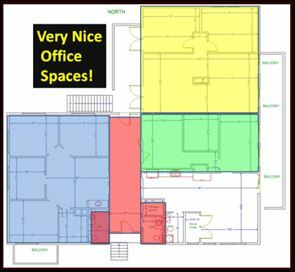 Space for displays, exhibits, etc. with the Truth of Scripture and the Gospel of Jesus Christ!